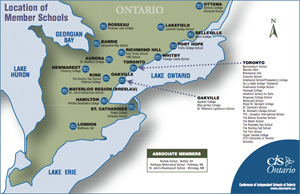 Founded in 1962, Bayview Glen is an independent, co-educational university preparatory school and member of the CIS, CAIS and Round Square organizations. Our students are challenged to participate at their optimum level, balancing rigorous academic schedules with a wide range of sports, special interest clubs, community service activities and spirited school events. Bayview Glen is currently looking for a full-time Learning Commons Librarian for our Prep and Upper Schools, commencing in August 2019. The Learning Commons Librarian provides leadership and expertise in changing the information landscape and creating a dynamic hub of learning, technology and collaboration. This position empowers students from Grade 6 to 12 to increase literacy skills and become enthusiastic readers, lifelong learners, critical thinkers, skillful researchers and ethical users of information. • Creates an information and technology-rich environment and provides the leadership and expertise necessary to ensure that the School’s Learning Commons is aligned with an innovative and entrepreneurial mindset. Bayview Glen offers a competitive salary, an extensive benefit and pension plan and a collegial work environment dedicated to the professional development of all staff. We invite all qualified candidates to submit a cover letter and resume, combined in one document, to hr@bayviewglen.ca by no later than April 18, 2019. Please indicate the name of the position you are applying for in the subject line.